In keeping with an increasingly common trend in video games, what is old is new again. Spyro the purple, fire-breathing dragon, is back. The “Spyro Reignited Trilogy” will bring three classic original PlayStation games back with fully remastered, high definition visuals akin to last year’s “Crash Bandicoot N. Sane Trilogy.” Since both collections come from publisher Activision, fans should roughly know what to expect in terms of features and enhancements when it launches on Sept. 21. Spyro first graced the PlayStation back in 1998, with the console also getting two sequels, all from developer Insomniac Games. Insomniac later went on to make the “Ratchet & Clank” franchise, as well as the highly anticipated “Spider-Man” game coming to PlayStation 4” in September. According to Activision’s press release, the enhanced trilogy is being developed by Toys for Bob, the studio behind the “Skylanders” franchise. It is only slated to come to PlayStation 4 and Xbox One for now. However, the “Crash Bandicoot” collection was just announced for Nintendo Switch, so Switch owners have a reason for optimism. 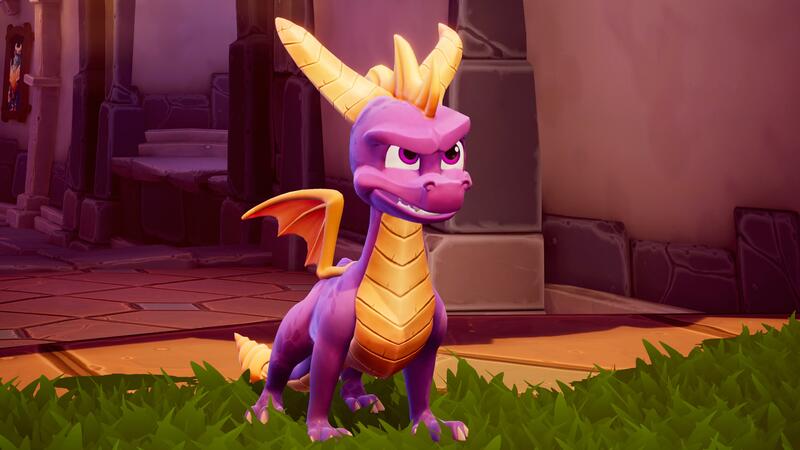 The announcement trailer for the “Spyro Reignited Trilogy” showcased a minute of remade footage, spliced together with clips of the old games to remind viewers how far video games have come. Activision said the trilogy would also include “updated controls” and “smooth camera handling,” but did not elaborate on what exactly that meant. Tom Kenny, better known to most as the voice of Spongebob Squarepants, will return as the voice of Spyro. This has been rumored for months, with Kotaku UK initially breaking the story in February. The game’s product page was leaked on Amazon early Thursday, as did the trailer. Activision went ahead and officially confirmed everything a few hours later.